Carnitine - is one of the most commonly used supplements for weight loss throughout the world. Carnitine - is one of the most commonly used supplements for weight loss throughout the world. Carnitine is a naturally occurring substance in each cell, which is essential for correct operation of the body. Research has demonstrated that the substance is carnitine, which is transported through the cell membrane acetyl coenzyme A, the final form of the released fatty acids, inter alia subcutaneous fat. As a result, fat can be transported into the mitochondria (cell furnace) and is then burned to obtain energy from it. This has a double meaning for people practicing, because it provides the cell energy necessary and helps in burning unnecessary and unsightly body fat. Carnitine ™ is a concentrated carnitine, which is absorbed much better than other forms of this compound. 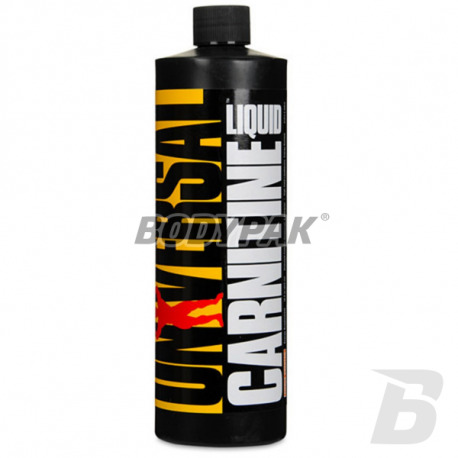 In addition to the properties of facilitating combustion of body fat, the removal of the toxins from the muscles, so that one does not feel fatigue in as much as without the use of carnitine. It also improves the strength, speed and endurance of muscles. It is also worth noting that thanks to the gentle euforyzującemu action, athletes who use it often claim that carnitine improves mood. 1 serving 30 min. before training.